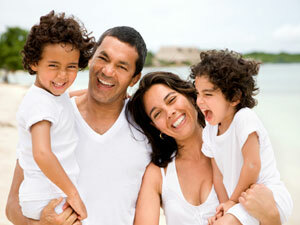 There is quite a lot of time and energy involved in the Soul Mate & Family work. These process and this work is for close connections - to repair and strengthen and rehabilitate those relationships. To end the pain of heartbreak and replace that with happiness - there can be no price on that. Working in the field of love and the energetic connections between individuals is complex and precise, to have the desired results. To mend long term intra-family issues, either between parents and children or between siblings - there is much karmic baggage I have to deal with. The work I do is at the karmic level and on energetic levels. The individuals, family members or partners are still going to have to communicate and do all the things that happen in establishing or reestablishing a relationship. This Soul Mate & family healing work has powerful effects on many deep levels and connections that are otherwise very difficult or impossible to access and heal. It is important to understand that the fee is for me to do a process, it does not guarantee any result. With this process Divine Energy Healing® and powerful intention is focused on your Soul and your SoulMate's Soul for the purpose of healing blocks in the relationship. What this does is work to repair damage in an existing relationship or in a potential relationship with a specific person. 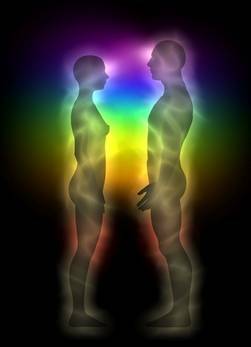 Through the process of soul mate healing deep blocks on different levels and in different channels and between the couple are removed or reduced in energy. Draw a Soul-Mate into your life! This is not a "quick-fix", while some people experience immediate results for others results have come after one year. Total honesty is important for this to work - the damaged energtic connections will be healed! Once the payment is made you will be sent a form - then just respond with names and what happened and the process has started. If you have purchased a healing process, or another process such as Soul Mate or family Healing, you may add this phone consult of 15 minutes for $55.00. This is to be paid within the same time frame as the fee for the process - up to 24 hours after purchasing the process. After 24 hours the full fee for a telephone consult is used. These processes and this work is for close connections - to repair, strengthen and rehabilitate relationships. Enjoy a life that works out with your soul mate. Heal relationships within the family. End the pain of heartbreak and replace that with joy. Working in the field of love and the energetic connections between individuals is complex and precise, whether between Soul Mates or to mend long term intra-family issues, either between parents and children or between siblings. I have helped countless hundreds of families and couples reestablish themselves in eternal happiness. The Followup to the Session. Divine Energy Healing® work is on the Soul Level. After the process is complete I will email you. At that point the process is complete. If what I write brings up some questions, I will do my best to answer them in a timely manner. If you feel that you would like additional consultation after the process is completed and more discussion, then a telephone consultation is the way to go. "There were challenges/troubles for me to get married and after marriage also which were resolved completely. 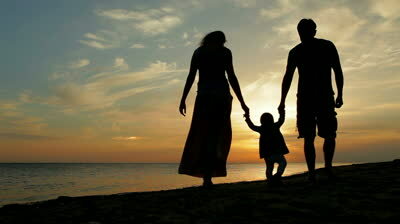 Me and my family members have received wonderful healings we are thankful for great work, readings and protections."